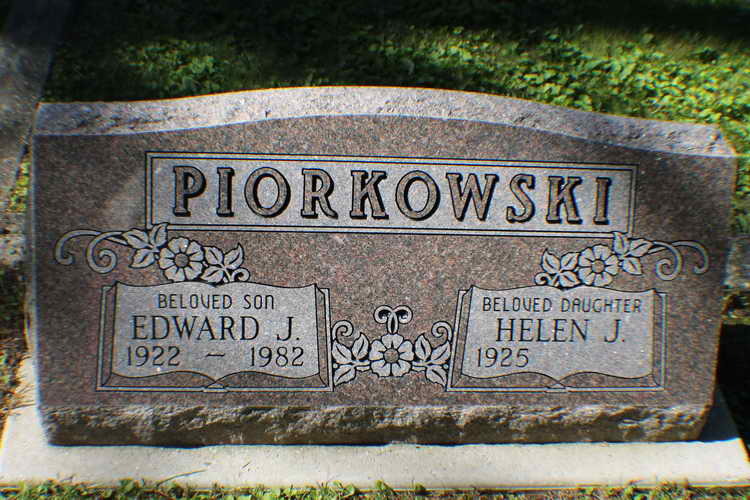 Grave marker for Edward J. Piorkowski in Linwood Cemetery, Au Gres (Arenac county), Michigan. Edward enlisted in the Army at Detroit, MI on 25 November 1942. On 13 September 1943 Pvt Piorkowski was attached to Hq 2nd, 508 PIR from Hq 2nd Army Umpire School, Camp Forrest, TN. He was relieved from duty on 12 November after conclusion of the Tennessee Maneuvers.